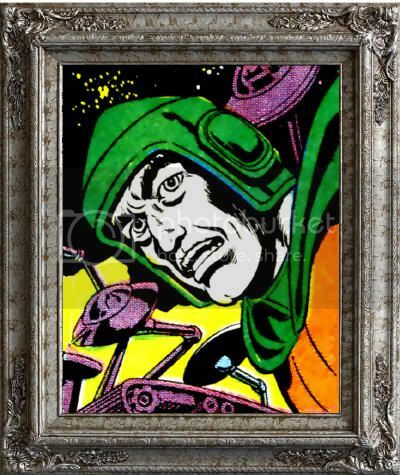 Commander Blanx was the Pale Martian leader who saw to J'Onn J'Onzz's exile from Martian society for thirteen years, as well as an assassination attempt on Earth. During this time, Blanx sold the planet Mars to aliens under the condition that he would exterminate all other life on the planet. Blanx rendered Mars uninhabitable, the only survivors fleeing on a spaceship to find a new world. Blanx was apparently killed by the Martian Manhunter for his crimes. CSBG's "The Other Greatest Martian Manhunter Stories Ever Told"
2013 New 52 Villain’s Month: Malefic #1! The Greatest Martian Manhunter (Related) Covers of All Time! Which Martian Manhunter Villains would you like to read about here 2010? Martian Manhunter #1 in 2012? What is The Vile Menagerie?